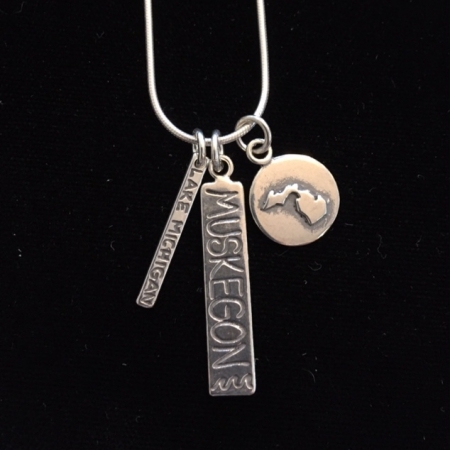 Using a 42 step, 10 day process, various patinas and processes are used to create the Great Lakes on heavy gauge copper. 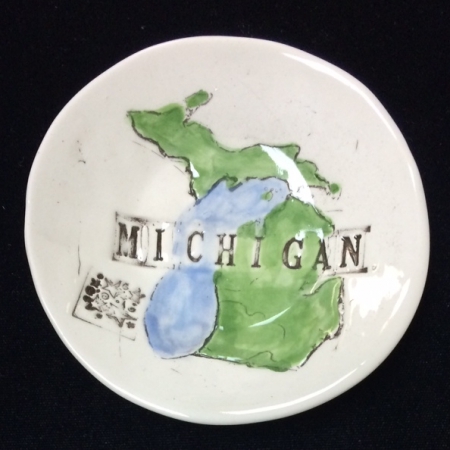 Adhered to thick wood backing and sealed in the equivalent of 140 coats of poly, this original and one of a kind piece is sold framed and complete with heavy-duty hardware attached, ready to hang on your wall. 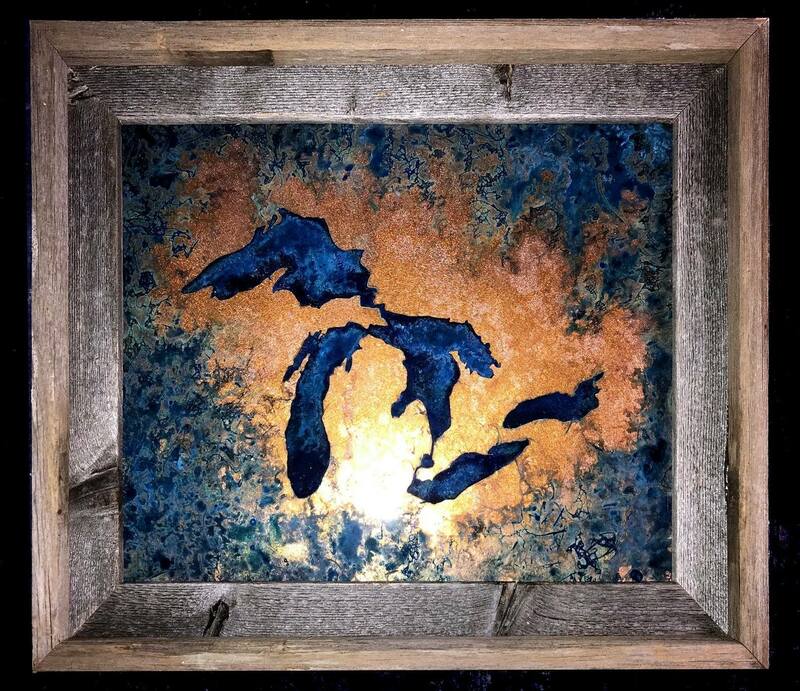 Using a 42 step, 10 day process, various patinas and processes are used to create the Great Lakes on heavy gauge copper. 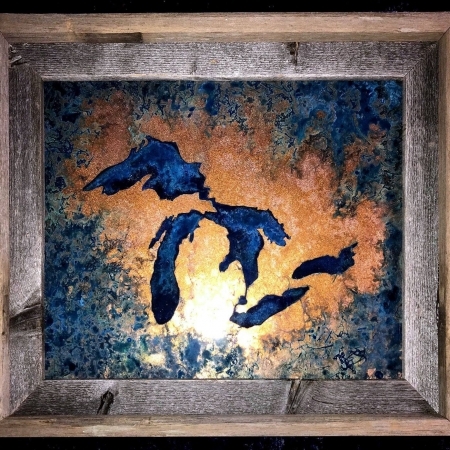 Adhered to thick wood backing and sealed in the equivalent of 140 coats of poly, this original and one of a kind piece is sold framed in barnwood and complete with heavy-duty hardware attached, ready to hang on your wall. Important!! 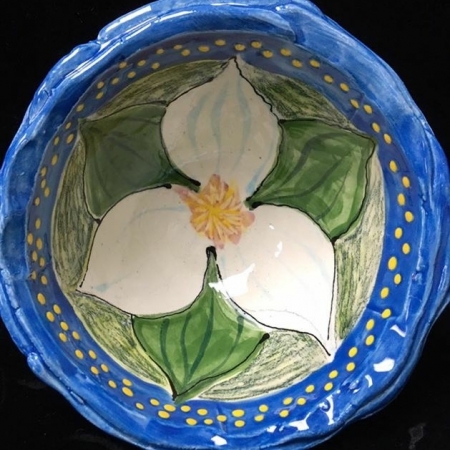 Each piece is an original, one of a kind piece of art, created by Alex and Becky Teselsky. Your piece will NOT look exactly like the image.